The Versafitcup Double Mobility is based on the original Dual Mobility design, with more than 30 years of successful clinical history. In fact, this concept was first proposed by Prof. Bousquet and the Medical School of St. Etienne, France, back in 1976. 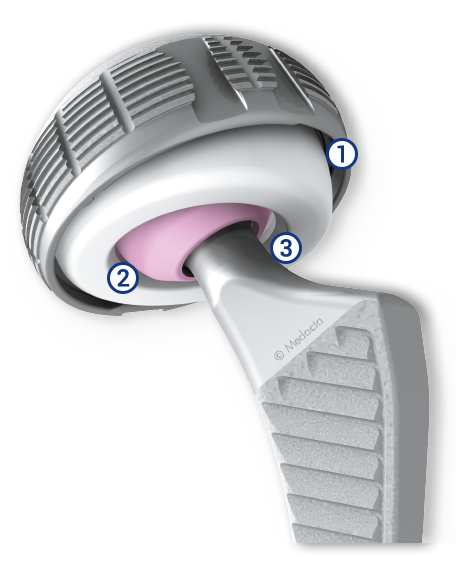 The introduction of the Highcross (cross-linked polyethylene by Medacta) Double Mobility liner drastically reduces the wear rate, reproducing performances comparable to Ceramic-on-Ceramic and Metal-on-Metal bearing combinations. 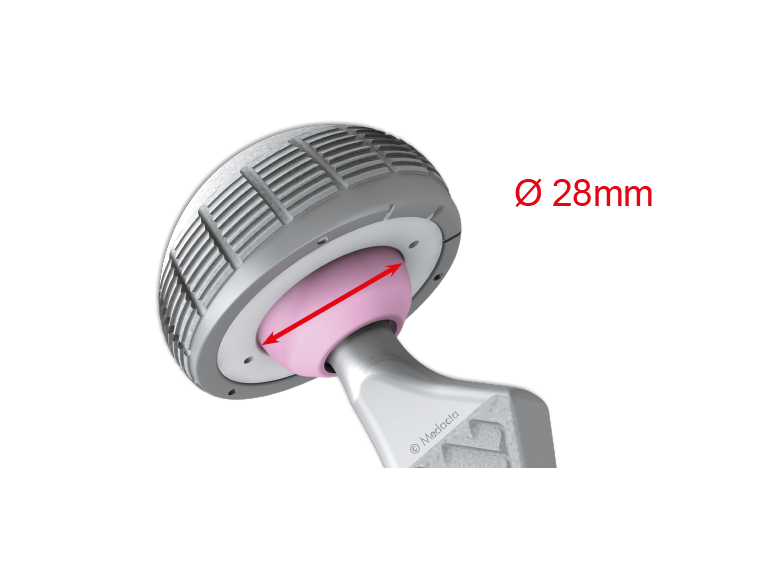 Extremely low wear rate thanks to the Dual Mobility and Third Articulation. 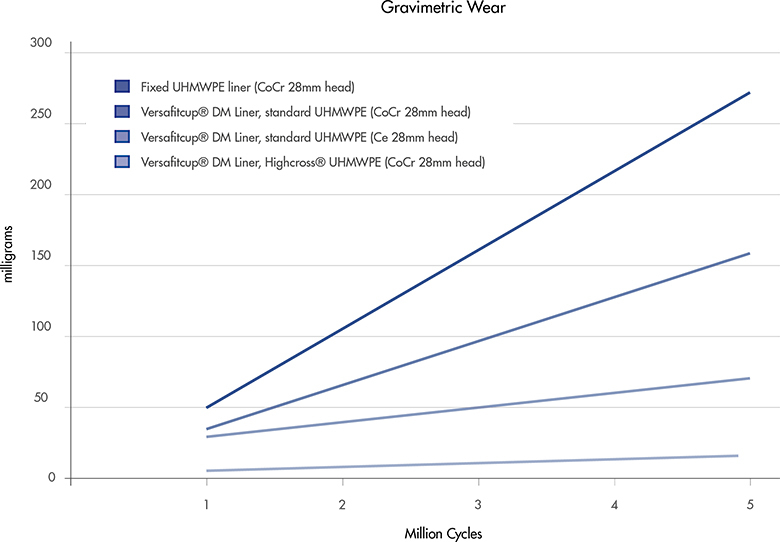 The question of a potential UHMWPE wear increase due to the double articulation has been raised, and clinical follow up from more than 30 years on similar systems has been reassuring. Additionally the dynamic mechanism of action is becoming better understood. A1 is always smaller than A2. Under physiological loading conditions, Al is the first to be mobilized up to contact of stem neck with UHMWPE liner rim. During 80% of one gate cycle the only movement is A1. 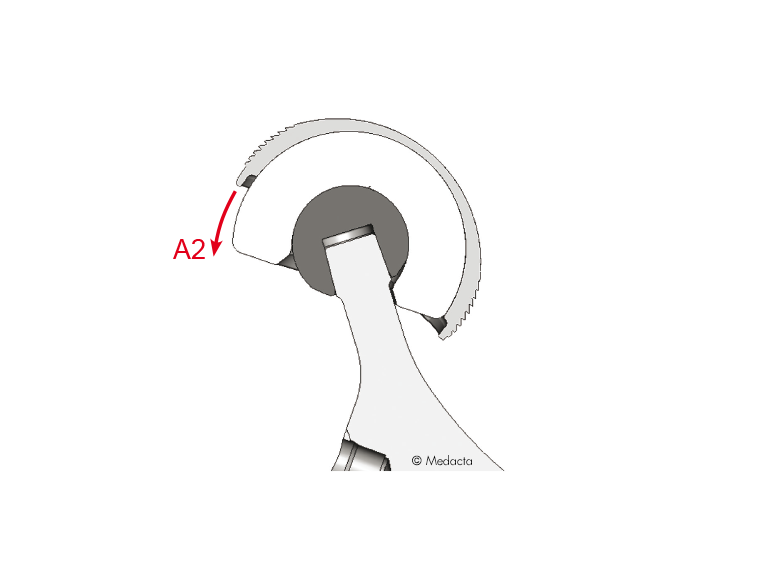 A2 starts only when the stem neck enters into contact with the rim of the liner. 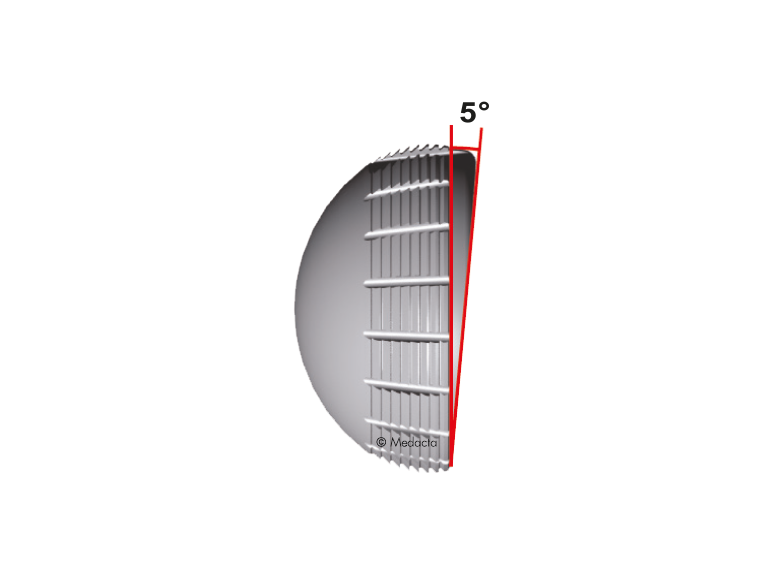 The rim of the liner is chamfered to articulate with polished neck (Third Articulation concept). 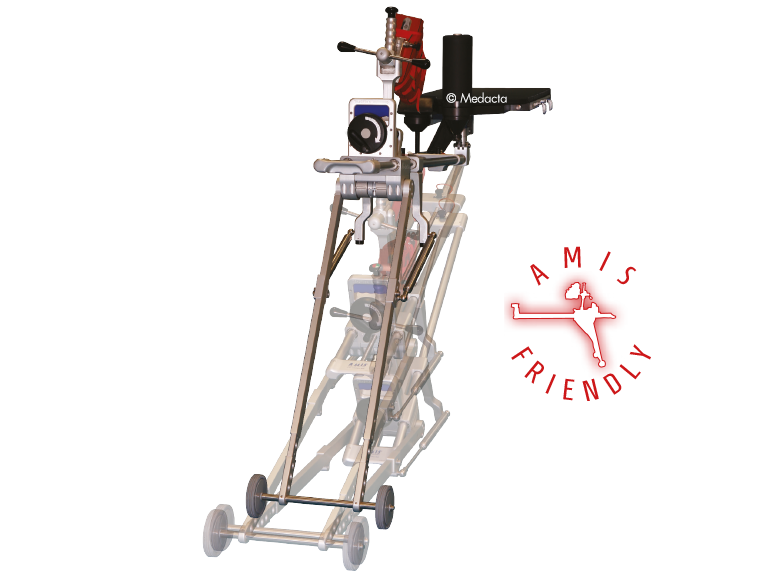 The movement A2 happens with activities requiring high Range Of Motion (ROM) such as climbing stairs. Thanks to this concept, the wear rate of the Versafitcup is lower compared with standard fixed UHMWPE liner coupled with metal head. By using a Ceramic head instead of a Cobalt Chrome head, the wear rate can be significantly reduced. 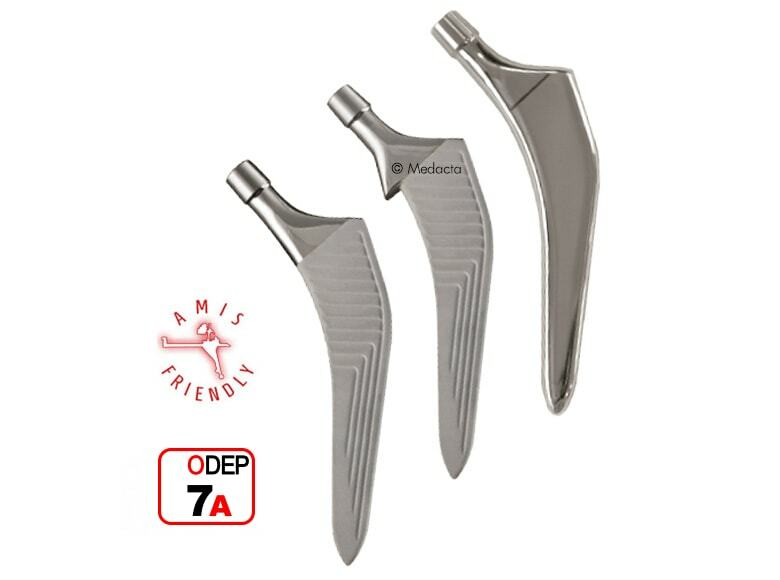 It is important to always couple the Versafitcup Double Mobility with Medacta femoral stems which have a highly polished neck and a short taper design. Test on Versafitcup Double Mobility size 64 mm, coupled with standard and Highcross liners, CoCr 28 mm head, 5 Million Cycles with 3400 N according to ISO 14242-1. Other data are an extrapolation from literature and the above mentioned test. The Versafitcup Double Mobility design provides a low wear rate. 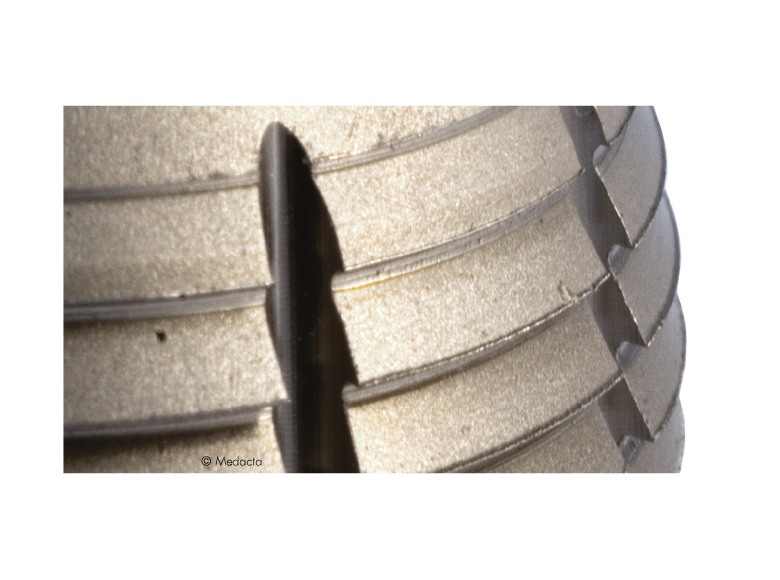 The usage of Highcross, cross-linked polyethylene by Medacta, guarantees a further drastic reduction of wear production. In fact, Highcross Double Mobility liners show a 94% reduction in volumetric wear rate versus the same liners fabricated of ETO sterilized, conventional UHMWPE, thanks to the enhanced properties of cross-linked polyethylene . 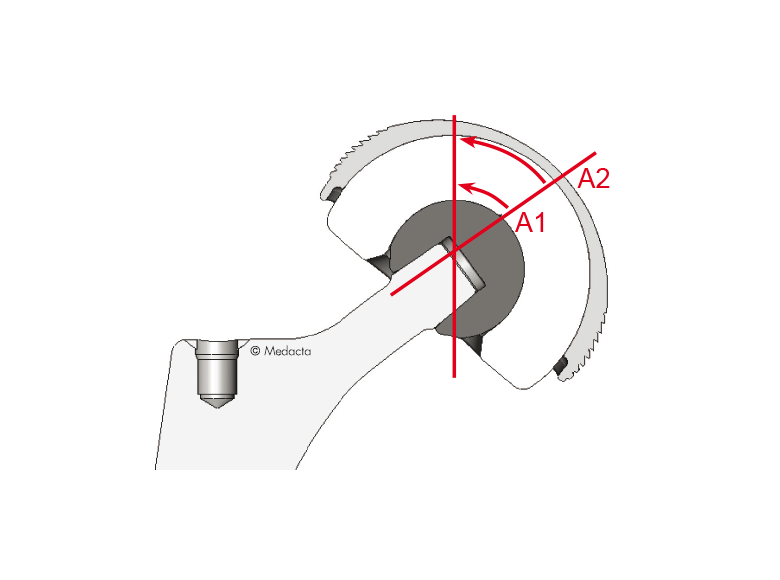 It has been demonstrated that for Metal-on-Metal bearing, the prosthesis components positioning is very critical and a poor positioning can lead to early failures due to excessive metal debris [12,13]. Also in the case of Ceramic-on-Ceramic bearing, the implants positioning is really critical, in fact a poor positioning can augment the risk of liner fracture or squeaking. 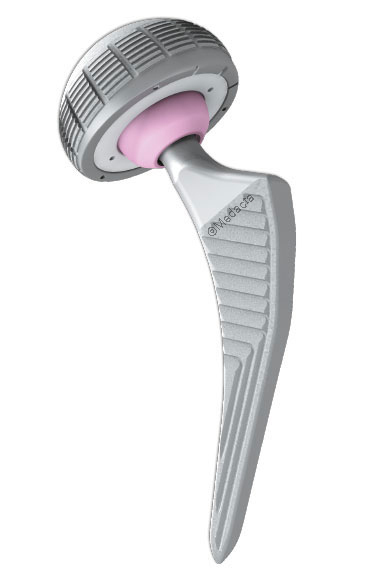 The Versafitcup Double Mobility eliminates all these issues, adding additional protection against dislocation, which is the most common cause of Total Hip Arthroplasty revision, according to a recent market survey . 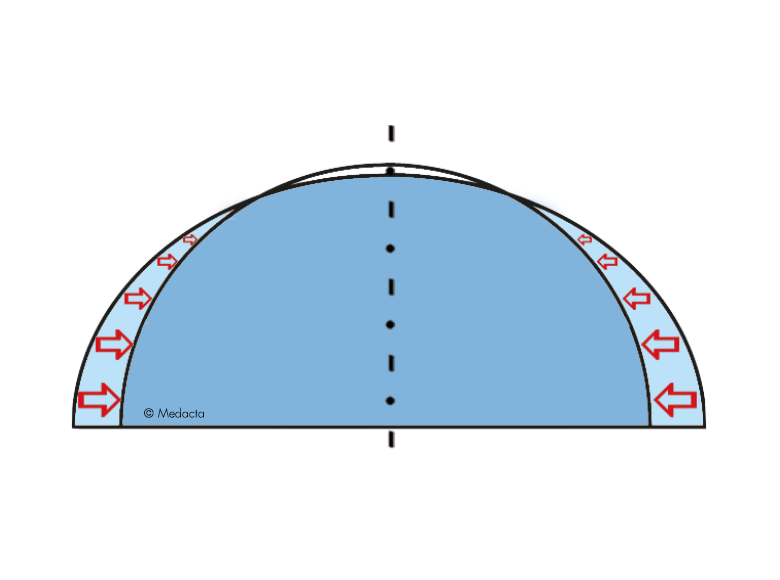 The diameter responsible for hip stability is the Head Diameter (28mm, 32mm, 36mm,…). The diameter responsible for hip stability is the Liner Diameter (38mm, 40mm, 42mm,…), due to the retentive mechanism for the femoral head. 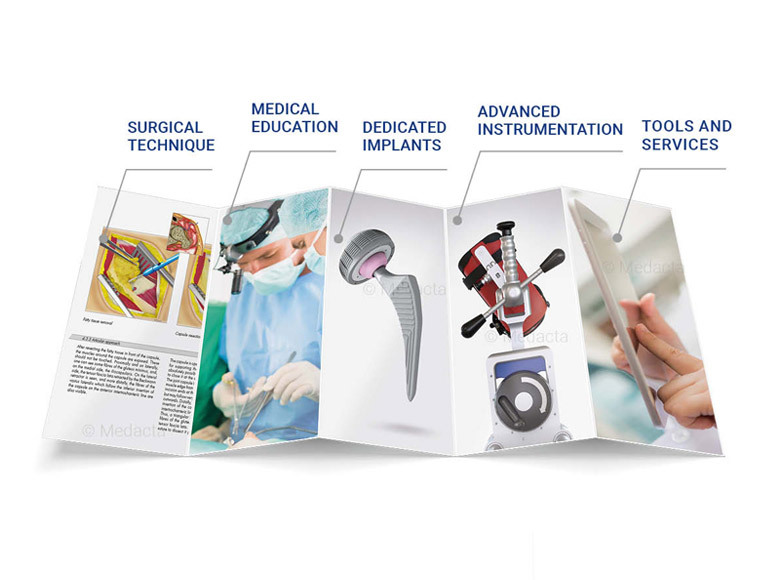 Thanks to that concept, the clinical results reported in the literature on similar product systems show extremely low dislocation rates as low as 0.1% with over 1000 patients enrolled [4,5,6,7]. 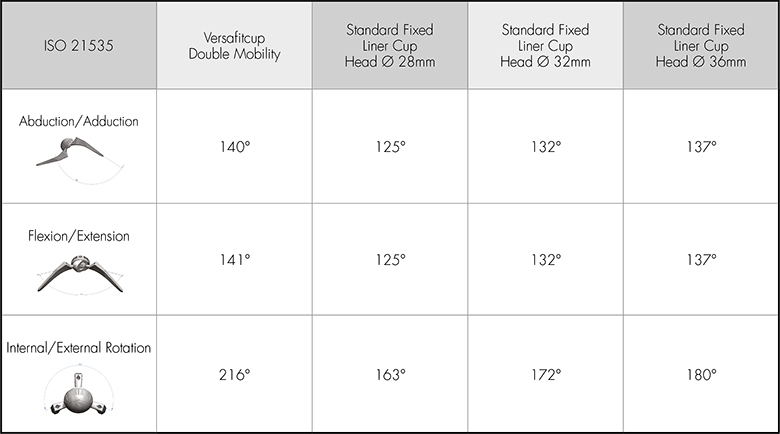 The table compares the ROM of the Versafitcup Double Mobility with a standard fixed liner cup size 64mm with different head sizes (28mm, 32mm, 36mm). Thanks to the Dual Mobility concept, the Versafitcup has a Head/Neck ratio close to 3.25 for the smallest size increasing to 4.80 for the biggest size; thus providing the high Range of Motion of the Versafitcup Double Mobility. The dual mobility concept was first proposed by Prof. Gilles Bousquet in 1976. 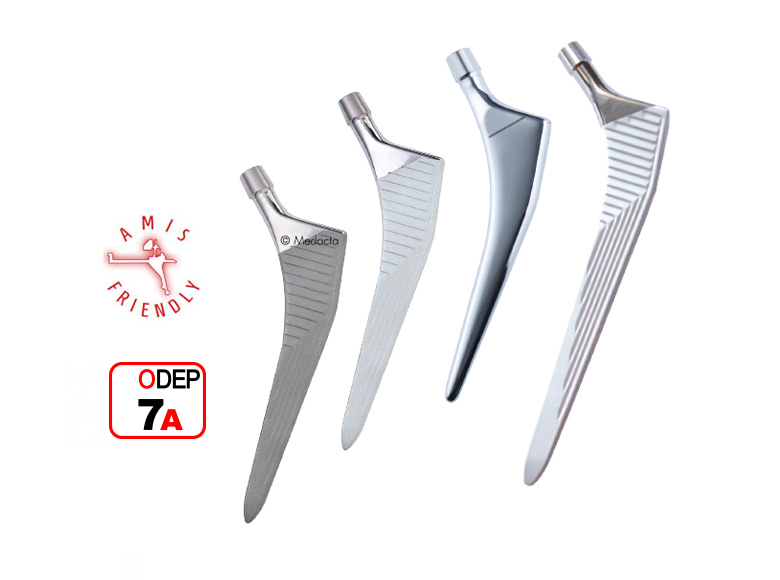 The basic idea is to couple two concepts: decrease wear according to the low friction concept of Charnley and achieve an intrinsic stability of the articulation utilizing a femoral head of bigger size, more similar to patient’s anatomy as advocated by McKee-Farrar. the liner within the metal shell (great articulation). Stress reduction has been observed and documented over the years and at least three publications of Aubriot et al., Farizon et al. and Leclercq et al. have been dealing with this issue. Altogether more than 380 patients have been followed up for a period of more than 10 years. Results were excellent with an implant’s survival curve exceeding 95%. Even in those cases where a mobilization of the implant led to revision, this was never in association with loss of bone stock suggesting an optimal distribution of stresses. Several other authors have been addressing the issue of implant stability, early dislocation in relation to a double mobility or bi-articular cup [4, 5, 6, 7]. Early dislocation remains the main complication after total hip replacement surgery, and its origin is most often multifaceted including surgical mistakes, errors in orientation or lateralisation of the implants, length of the limb, muscular insufficiency, lever effect, neurological disturbances, etc. In the above mentioned literature review patients with recidivant dislocation or at high risk of dislocation have been satisfactorily treated with this kind of implant. In terms of safety, Leclercq et al. reports only 1 dislocation on 1100 implants over a period of more than 10 years, which corresponds to a percentage of 0.1%. Mobile liner: UHMWPE and Highcross polyethylene. 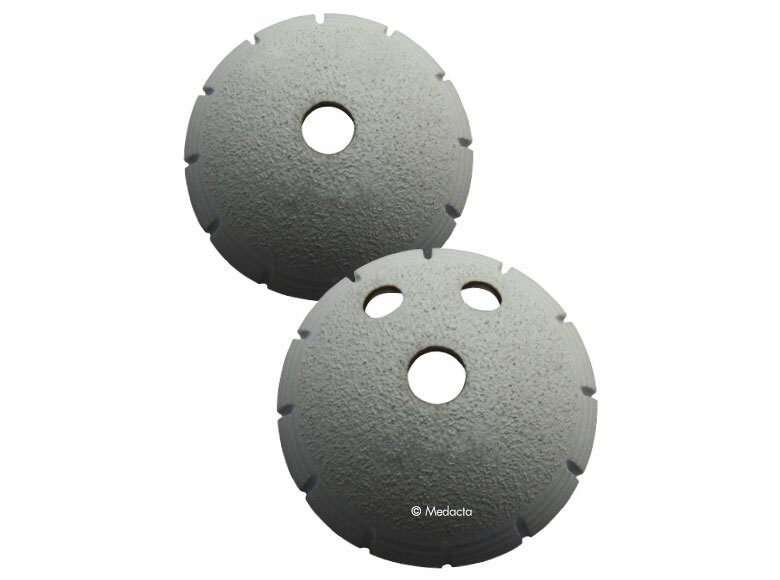 The Versafitcup Double Mobility elliptical press-fit cup geometry with equatorial macrostructure and surface effect provides a gradual load transfer avoiding peaks and ensuring excellent primary stability. The equatorial macrostructures shows circular retaining splines which increase the contact between the implant and the bone by 30 to 40%. Solid high nitrogen stainless steel cup, interior mirror polishing, without screw holes. Contains a mechanism for mechanical stability during cup impaction. The Versafitcup Double Mobility belongs to the Versafitcup system, a complete system of elliptical press-fit cups that shares the same instrumentation. 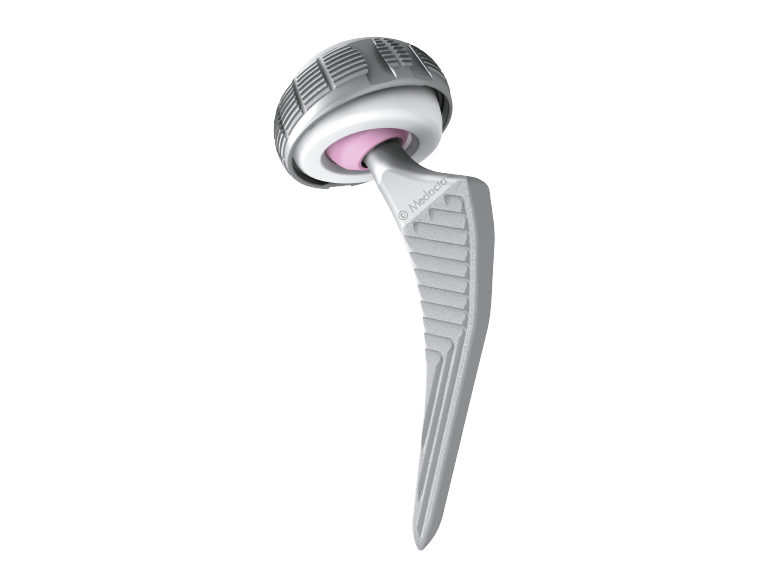 The system includes the Versafitcup CC Trio, a press-fit cup with lateral screw holes offering the possibility to increase fixation with flat head cancellous bone screws. The Versafitcup CC Trio inner shell has been designed to allow the use of bigger heads to better meet the needs of patients and surgeons and better restore biomechanics. F. Farizon, R. de Lavison et al, Results with a cementless alumina coated cup with a dual mobility, a twelve years follow-up study. Int Orthop. 1998; 22(4) : 219-224. The UHMWPE raw material, used for both conventional UHMWPE and HighCross™ UHMWPE, is Chirulen 1020. The liners of each were manufactured by turning compression molded UHMWPE bars and were finished products that followed all the manufacturing process flow including final sterilization. The liners tested were 12.9 mm thick, size 64/28. Testing was conducted under a multi-axial hip joint simulation for 5 million cycles using a 28 mm size M CoCrMo ball head and metal actebular shell of size 64 mm. To create a worst case situation, a special attachment collar was utilized to force the liner into contact to simulate impingement with every cycle of the gait. The embedding medium was composed of bovine serum with a 30 g/L protein content and deionized water. It was filtered before doing the test and maintained at 37°C. The serum was replaced every 0.5 million cycles. Three liners of each type were tested. Wear was measured at 0.5, 1, 2, 3, 4 and 5 million cycles. 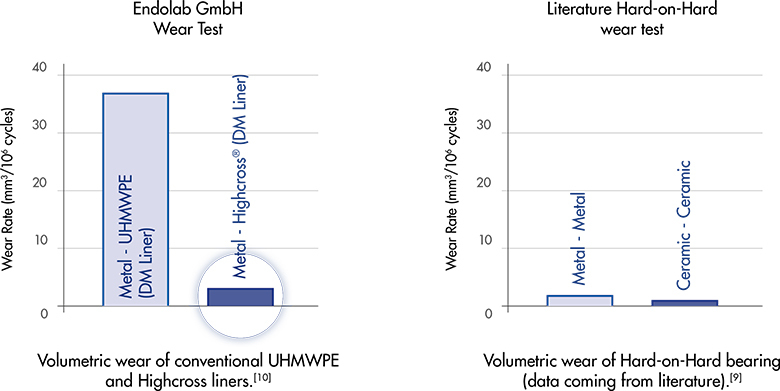 Average volumetric wear rates were 38.3 +/- 2.3 mm3 per 106 cycles for the Versafitcup Double Mobility conventional UHMWPE liners and 2.5 +/- 0.8 mm3 per 106 cycles for the Versafitcup Double Mobility HighCross™ UHMWPE liners. (See plots below) The in vitro hip wear simulator tests have not been shown to quantitatively predict clinical wear performance.